As you might expect for a Texas city, there are plenty of fine Mexican restaurants in Austin. There's a range of places in this category: there are family-owned, local restaurants in Austin that have served authentic Mexican cuisine for decades, and there are places that feature burgers and Tex-Mex fare, Happy Hour specials, and good margaritas. Many of those actually serve "Tex-Mex", that unique Texas slant on Mexican cuisine. The result of introducing Texas flavorings and ingredients into traditional Mexican dishes, Tex-Mex may not be real Mexican food, but it's still delicious. If you're looking for a tasty, satisfying taco or fajita plate, you'll find many good choices around town. If you want authentic Mexican food, there are some good choices for that in town as well. Considering the wide range of tastes and flavors that Mexican cooking encompasses, and then adding in all the Tex-Mex places, picking a short list of favorite local Mexican restaurants is a tall order. But here is our shot at it. 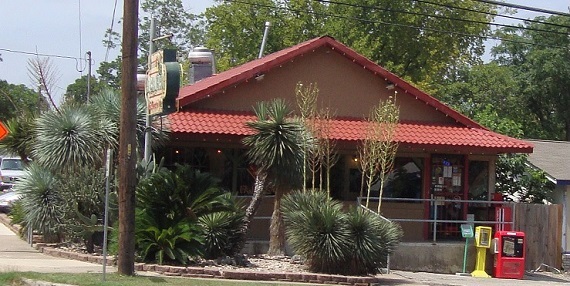 A small restaurant located in a south Austin strip mall, it has a wide-ranging menu including both Mexican and Tex-Mex cuisine. The chips and salsa are quite tasty (salsa is spicy with a touch of barbecue flavor) and the quesos are also very good. Recommended are the fajitas, of which they have many different types. They also have happy hour specials with some of the best margaritas in town and discount appetizers. Often has live music. A family-owned restaurant that has been in Austin for over a decade. Serves good, authentic, inexpensive Mexican food. Great breakfast tacos (tortillas and salsa are handmade and fresh). Delicious chicken fajitas. We've also heard the barbacoa and menudo are good. Simple, sparse place with wooden tables close together. Excellent for a quick, satisfying, Mexican breakfast or lunch. Popular night spot on Sixth Street. Don't come here looking for authentic Mexican cuisine. But if you're looking for good chips and salsa, quesos, burgers, salads, or a pork chop with chorizo, and of course margaritas and happy hour appetizers, this is your place. Also has two locations in northwest Austin. This place serves a fusion of Tex-Mex and Brazilian food. It offers casual dining with both Tex-Mex and Brazilian entrees available. Brazilians will say it's not truly authentic, but it's still good. The appetizer sampler and black bean stew are recommended here. Smallish place but well decorated with paintings by local artists and low, but ample lighting. Good for dates and family dining. Live jazz on weekends. An Austin icon since 1975, Fonda San Miguel has won awards for food and service and the owners published an award-winning book of recipes. Food and decor are authentic Mexican. It's a place for fine Mexican dining and to take dates and out of town visitors you want to impress. Reservations are strongly recommended as the wait can be up to an hour otherwise. The food is good quality, service is generally very professional, and the atmosphere is very elegant and high class. Prices are also high class. The very sumptuous Sunday brunch buffet, for example, is $40 as of this writing. Still, a good choice for special occasions. Serving tasty Mexican fast food, Torchy's has several restaurants plus a trailer location in Austin. Great, fresh tacos, burritos, and fajitas. The fried avocado taco and the trailer park (a big piece of white meat fried chicken, chilies, vegetables, and cheese on a tortilla) are recommended. Good place for a fast, inexpensive breakfast or lunch. Mostly young (twenty-something) staff and clientele. Popular with local college students. View the map below for other Mexican restaurant choices around town. Click here for a list and map of Austin Mexican restaurants (opens in a new tab). Thrillist issued its 2014 list of the Best Mexican Restaurants in America and Austin's La Condesa was named for its "forward-thinking takes on traditional interior Mexican flavors." The website also cited La Condesa's cocktail selections and happy hour snacks. Do you have a Mexican Restaurant story? Do you have a favorite Mexican restaurant in Austin? Or do you have a story about a restaurant, maybe one of the restaurants listed on this page? Tell us about your favorite restaurant, or share your story here. Do you have some pictures to add to your story? Great! Click the button and find the first one on your computer. Select it and click on the button to choose it.